The Galata Tower is one of Istanbul’s most iconic visuals, overlooking Beyoğlu and Karaköy from its perched position, while the colorful lights of the tower can be seen at night from all over the city. 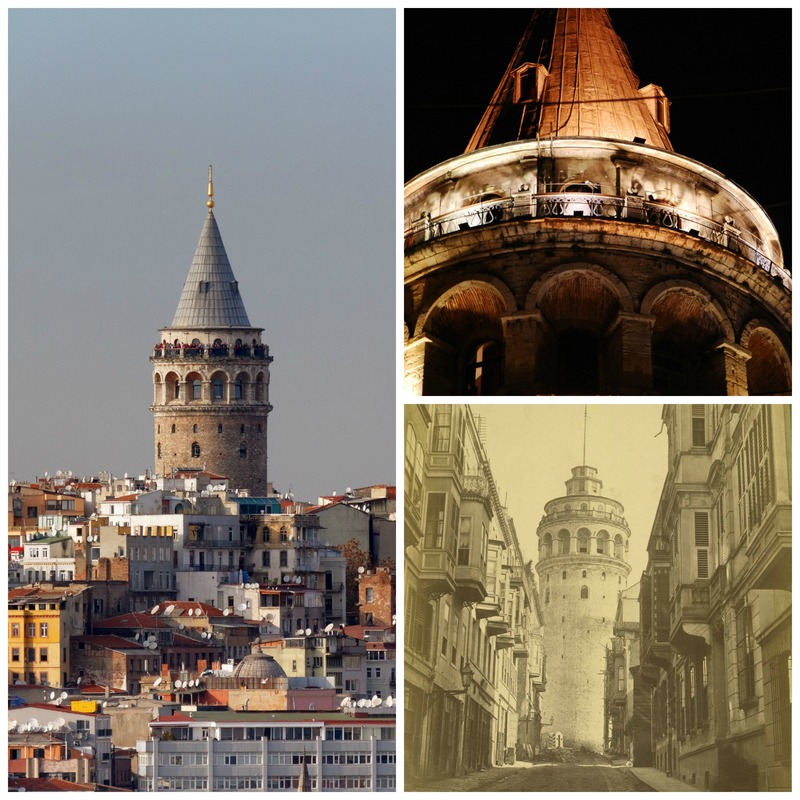 Here’s a look at the history of the Galata Tower, plus some interesting facts regarding its uses. Although it’s not known when the Galata Tower was exactly built, it is commonly agreed that the tower took life during the reign of Byzantine Emperor Justinian around 507 CE. Back then, the tower was known as the ‘Christea Turris,’ or the Tower of Christ, by the Genoese, while the Byzantines referred to it as the ‘Megalos Pyrgos,’ or the Great Tower. But it was during the Genoese period the tower took on its current shape, when the Galata neighborhood was inhabited by the colonies of the Republic of Genoa, which served as a series of economic and trade posts in the Mediterranean and Black Seas. In 1509, the tower was heavily damaged due to an earthquake but was restored by the famous Ottoman architect, Hayreddin, who also built the renowned Sultan Bayezid II complex in Edirne. During the reign of Ottoman Sultan Süleiman the Magnificent, the tower had a very different purpose, as it was used to hold prisoners who were sentenced to work at the Kasımpaşa Naval Dockyard. By the end of the 16th century, an observatory was added at the very top by the astrologer, Takiyüddin Efendi, but the tower was destined to become a prison once more during the reign of Sultan Murat III between 1546 and 1595. When the 17th century rolled around, the tower was briefly used by the Mehter Band, an Ottoman military band, and then became a fire observatory in 1717 because of its excellent bird’s-eye view of the historic city. In 1794, a fire destroyed the tower, but it was restored during the reign of Sultan Selim III, at which point a cumba (alcove) was added. Following the destructive effects of another fire in 1831, the tower was once more restored, along with the addition of two more floors and a conical-shaped tip, through the commission of Sultan Mahmut. Nowadays, the 219ft (66.90 meters) high tower serves as a touristic attraction only, with visitors standing in line to head to the top for a spectacular 360-degree view of Istanbul from the balcony. Luckily, an elevator takes visitors up seven floors, but the last two floors are only accessible by climbing the stairs. As for some interesting tales about the Galata Tower, one of the most well-known stories revolves around the legendary Ottoman aviator Hezarfen Ahmet Çelebi. According to an account written by Evliya Çelebi, an explorer who recorded his observations in a famous Seyahâtnâme travelogue, Hezârfen Çelebi flew from the top of the tower to Doğancılar Square in Üsküdar with wings attached to his arms. Due to this spectacular feat, Sultan Murad Khan allegedly grew suspicious of the man and sent him to exile in Algeria.